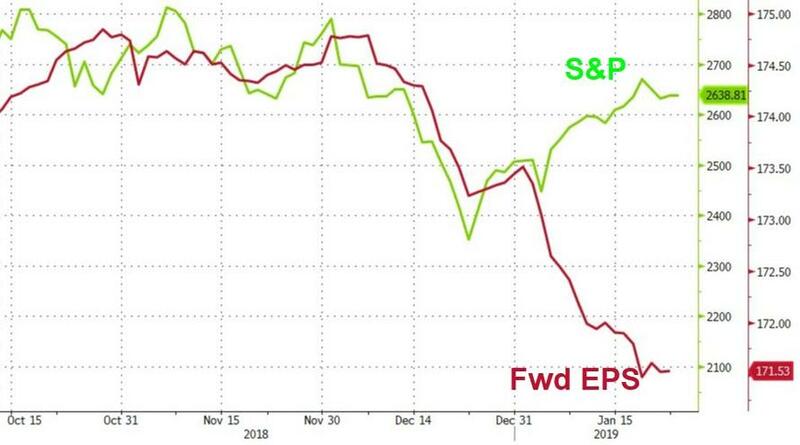 While 'bad news' has been signaling 'good news' recently (the worse the economy gets, the more dovish Powell becomes... so buy stocks?) 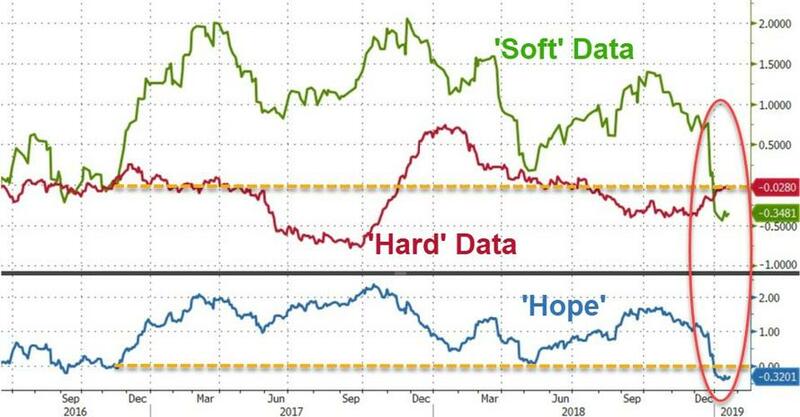 - the circular logic of that goldilocks argument is starting to crumble as 'hope' has crashed in recent weeks and it is 'hope' that keeps the dream alive (e.g., in the short term, economic weakness is bullish for stocks; but in the longer-term, 'hope' remains that a dovish Fed will lift the economy and everything will be awesome and the economy will catch up to stocks). Which brings us to today's macro-economic data releases. There are exactly NONE for the US due to the government shutdown and that is a very good thing for those who are long stocks since it keeps the dream alive for a few more days. 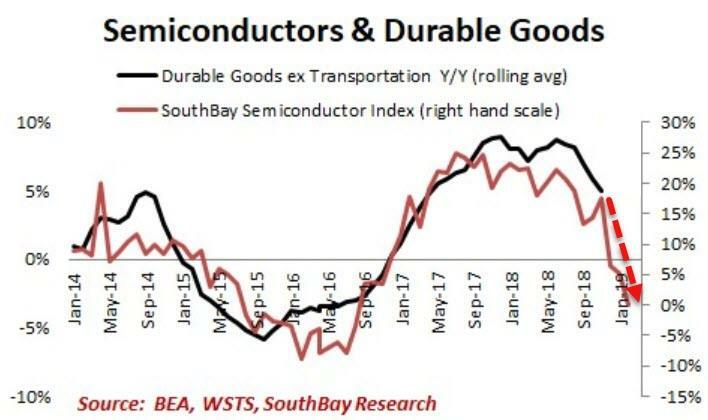 The two major data items due to print today were new home sales (which following recent housing data were destined to be a disaster) and even more important - Durable Goods Orders... which judging by Southbay Research's Semiconductor Index, would have utterly collapsed in December and January - splashing cold water in the face of any hope for a rebound and crushing The Fed's forecasts for a rosy future and more normalization. So we suspect bulls are thanking their lucky stars that the government shutdown is keeping the wool over the eyes of skeptical onlookers for just a little longer.